Castleville. Yes, Zynga pumps out games like a rabbit. I can’t even keep up. I’ve already reviewed Cityville and Empires and Allies, and now I’ve run across their latest city-building game, set in a medieval fantasy world… Castleville. I’m not in love with the name, but I understand their need for consistent branding. So, let’s start at the top. 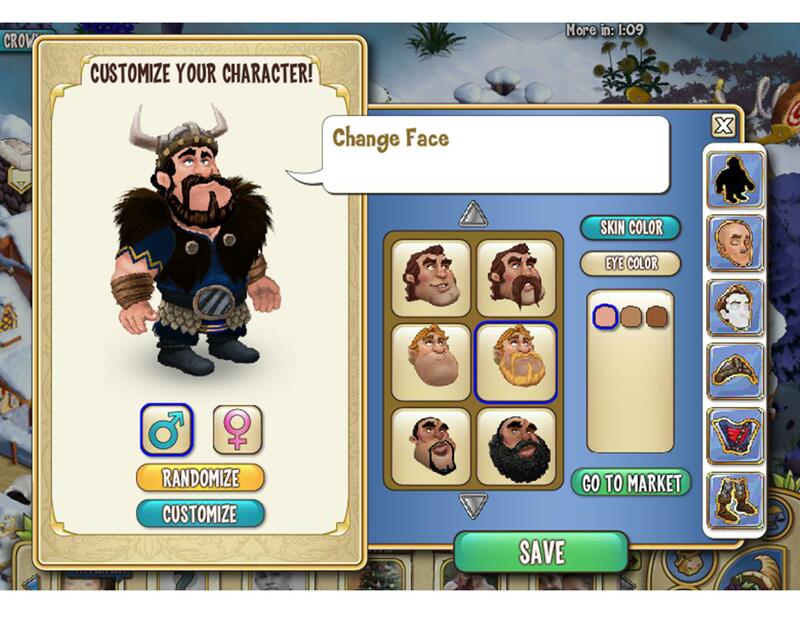 You create a character, which is a little unique for Zynga games like this. Having an avatar is a nice change and gives you some new options in terms of character creation. However, the avatar system is very shallow. Above, you’ll see my viking. Once again, having a shaved head is not an option. What happened to that always being the default? I miss those days. 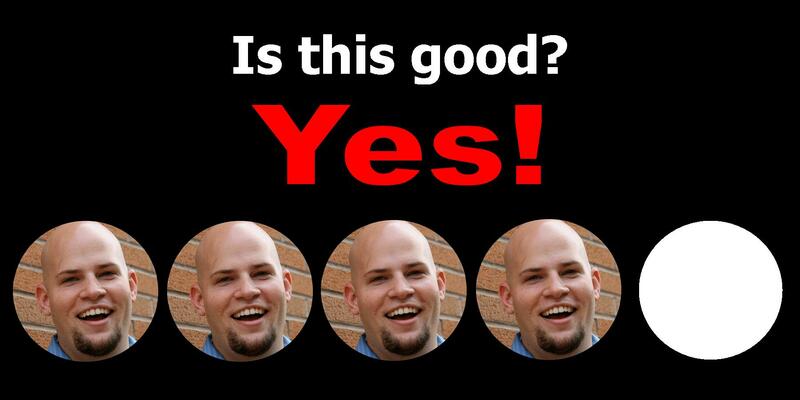 Anyways, it’s nice to create an avatar but the choices are fairly limited, especially right at the outset. As you progress, you can buy clothes and outfit your character but expect to see plenty of doppelgangers. Once you have an avatar, you basically do tasks for other people. I still can’t figure out why these people are out living in the middle of nowhere. But you’ll get a task, such as “Harvest 18 cabbages” and then you get experience points for completing those objectives. Fairly standard Zynga stuff here. Aside from the objectives, you’ll build up your city. This is “Awesometown” (I’m definitely not using that creative writing degree to its full use). You’ll build buildings that serve functions, such as gaining money or crafting items. You can also harvest crops, so it manages to sneak in a little Farmville without you even knowing. Something unique about Castleville is that it doesn’t rank you by experience points, but rather by castle points. You have to build certain royal buildings to gain these points. I may be a higher level than someone ranked higher than me, but they managed to build more “throne rooms” and “barracks” than me. I appreciate the innovation though I feel like having experience points, castle points, reputation points, and gold pieces can be a lot of numbers to keep track of. A little streamlining would have been appreciated in the other areas. Now, building can be a tricky. 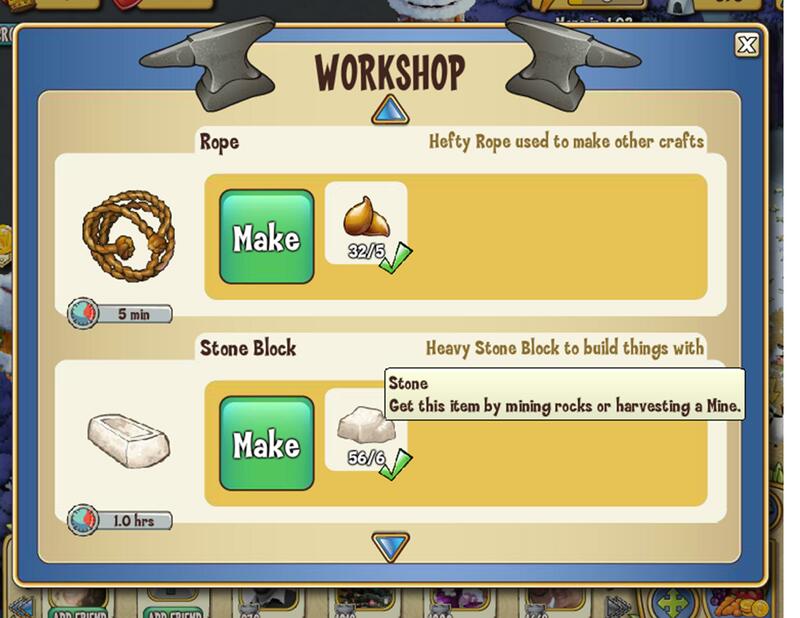 In order to build a Vault, I might need stone blocks, but I have to craft these stone blocks at one of my workshops. Crafting can take time, just like anything else. It’s take an hour to make a stone block. And maybe I need 8 stone blocks to build a Vault. The examples above are fairly simple, as they only need one ingredient, but some get complicated. I’m stuck in a spot right now where I’m trying to build a building, but I need a certain type of cloth, which has to be built at a studio, which I need gold bars to build, which I need a certain amount of stone blocks to even make gold bars. It’s a cool process though, as it’s something that’s usually achievable. You have to plan which buildings to create (and what they can offer) and think ahead to what you want to build. The crafting system makes a nice addition to a tried formula. What works? Having an avatar is a nice change, as is the complicated but useful crafting system. This has some things that its big brothers and sisters brought to the table, but Castleville definitely brought some new tricks that help make it a unique outing. What doesn’t work? If you’ve read my other Facebook reviews, there’s one thing I hate more than anything. And that’s posting spam to my Newsfeed. I absolutely hate posting things on my feed like “Hey, click here to give Adam the gem that he needs!” My friends don’t care. The objectives that the game gives you are nice but I’m at a point with all of my objectives where I’m a standstill. Every once in a while, I’ll try posting something to my wall but no one ever clicks it (out of all of my friends, 0.05% even play Facebook games at all). These objectives will go forever undone. If you’re one of those people that adds random strangers, you might have enough friends that play to handle this. But for me, this was a bit of a frustration. It’s not unlike the other Zynga products though. Pretty standard. Overall? Overall, a solid outing. It’s got a fun and colorful look and is (for the most part) pretty easy to play with minimal other Facebook friends. You’ll eventually hit a point where you’ll need other people to work your buildings or give you supplies, but it’s minimal. I’d say this one stands up there with Cityville and Empires and Allies and is worth a look. 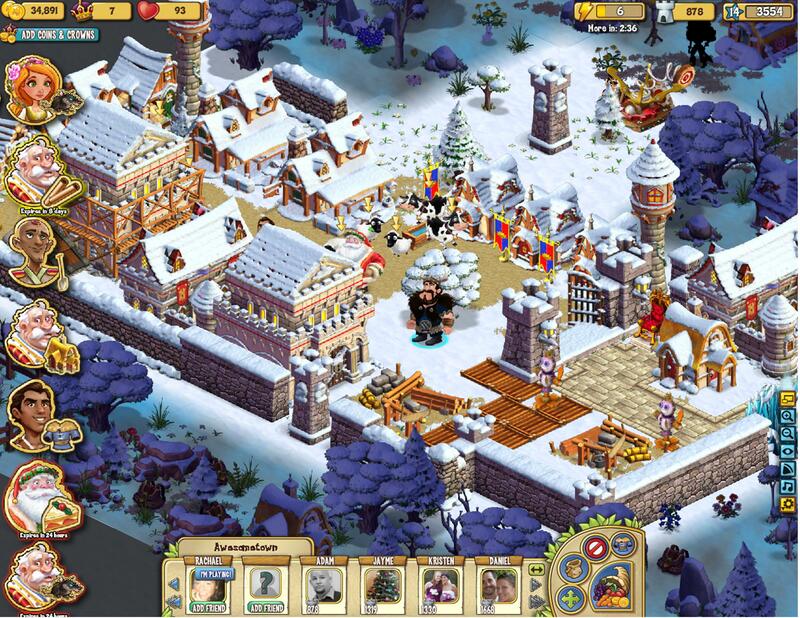 This entry was posted in Facebook, Gaming and tagged castleville, facebook, zynga. Bookmark the permalink. “You’ll eventually hit a point where you’ll need other people to work your buildings or give you supplies, but it’s minimal.” I started playing this game to help my wife attain certain goals within the game. I quickly realized I had to rope in a few of my own Facebook friends to help me out. Yup, Zynga really knows how to get people to market for them, and design the game to make it extremely tempting to pester one’s friends. I find that playing with fewer than 5 friends makes certain types of progression impossible unless you’re willing to spend real-world money to buy “crowns.” Then you can hire an NPC stand-in to fill a slot usually filled by an actual human. I’ve gradually discovered a few other people playing the game and managed to get 7 friends listed, which I consider near the minimum to play with any level of comfort. “If you’ve read my other Facebook reviews, there’s one thing I hate more than anything. And that’s posting spam to my Newsfeed.” Agreed. Players have the option of posting ONLY to those friends who are playing the same game with you. However, the DEFAULT setting for the daily gifting is to send the message to every Facebook friend you’ve got. The obvious, logical default would seem to be “Contact Fellow Players Only” but Zynga has designed it such that it’s far easier to simply spam everybody you know until they either un-friend you or manuall opt out from notifications from the game. Unfortunately, these plaintive postings also go into one’s Facebook Timeline. Facebook now lets you expunge these Timeline updates one at a time, but that’s a thankless, repetitive task. So 10 years from now people will see that I was bugging everybody to hook me up with some Fairy Dust. Is this really something my future biographers (if any) would give a hoot about, especially considering that it’s possible to generate more of these posts per day than human-oriented status updates? 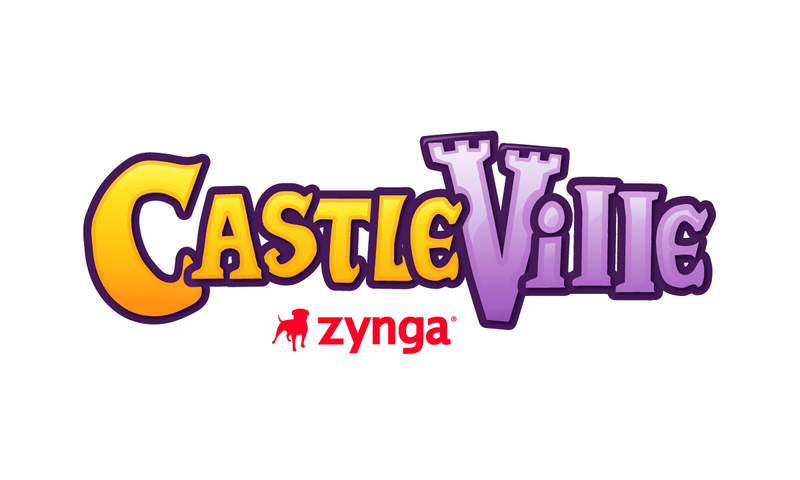 As a former game designer, I greatly appreciate the cleverness of Castleville, and will continue to play to see what makes Zynga so successful at what they do. It really is quite an accomplishment, from a social-engineering standpoint. It does a lot to entice you into connecting every few hours. Zynga really knows who their target demographic is, and the game designer in me can salute them for that. Special mention goes to the music. I’ve heard it was custom made for the game — a first for Zynga. And what music it is! It’s like an auditory tranquilizer dart. It’s as if a bunch of psychologists conferred with a team of composers with the goal of creating music that can mesmerize anybody into a warm, peaceful state in which one’s only thought is “Everything’s okay … relax … relax … everything is just fine” — no matter what is actually going on during the game.